Michael (Mike) Adkins was born in 1951. He graduated from Louisiana State University in Baton Rouge in 1973, with a Bachelor of Science degree from the College of Business Administration with an emphasis in Economics and from the University of North Carolina at Chapel Hill in 1975, with a Masters of Business Administration degree. He is a founding member of Adkins Seale Capital Management LLC and currently serves as Co-Managing Member, Chief Compliance Officer, and investment advisor representative. From February of 2006 to June of 2009, he was a financial advisor at Citigroup Global Markets Inc., and from June of 2009 to April of 2013, he was a financial advisor at Morgan Stanley Smith Barney LLC. From 1997-2006, he was involved in various investment/financial advisory roles, primarily in affiliation with Legg Mason Wood Walker, Inc. and Citigroup/Smith Barney as a registered investment advisor representative. From 1975-1996, he was employed in the commercial banking industry working in various capacities involving credit, financial/operational, and retail banking administration. Mr. Adkins has been a CFA Charterholder since 2000 and is a member of the CFA Institute. 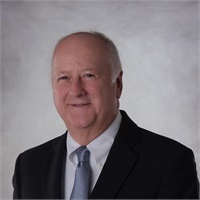 He is also a member of the American Institute of Certified Public Accountants and the Louisiana Society of Certified Public Accountants and holds the CPA certificate in Louisiana (inactive status) and Texas (retired status). Mike and his wife are the parents of three adult daughters, one son-in-law, and three grandsons. Family gatherings and occasional trips take up most of their free time. Mike is an avid duck hunter.